“This is a quick and dirty way to get a whole bunch (up to 17) small stepper motors working off a single arduino, with no extra circuitry whatsoever. Why would you want to do that? 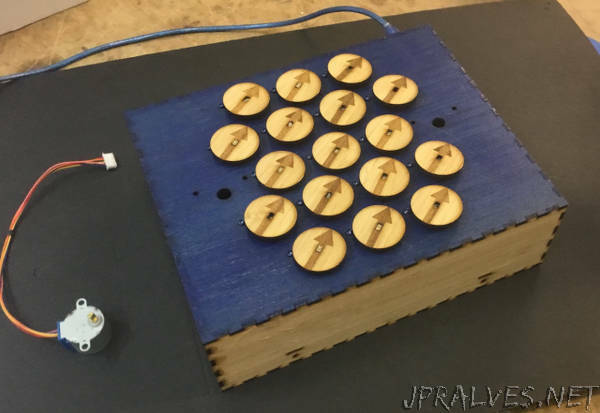 Maybe you want to make a wall display, a clock or some other interactive object, and you can’t afford thousands of dollars for motors, and hundreds of hours spent wiring up boards for ‘proper’ drivers.